Liverpool left it very late to progress past Swansea City in the league cup on Tuesday night but eventually with the help of a Mario Balotelli goal the Reds did enough to squeeze through. 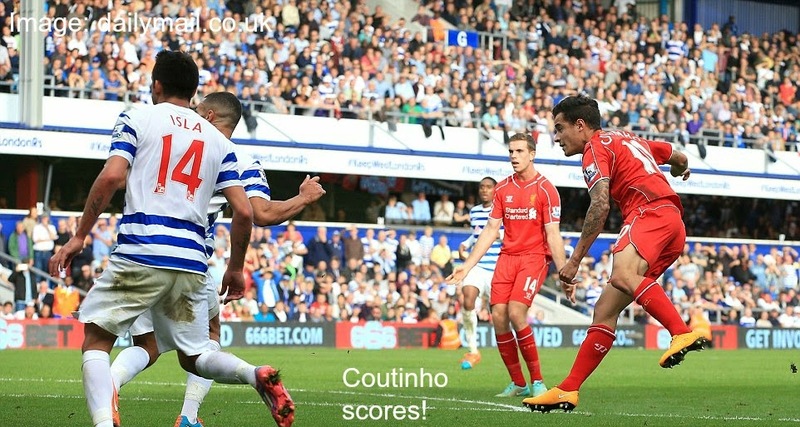 Dejan Lovren's goal in the fifth minute of time added on secured the win for Brendan Rodgers' side. The game got off to a steady yet unproductive start for the home side as Liverpool were maintaining a lot of possession but struggling to create any real danger in the final third. Brendan Rodgers had certainly shook up the side with Fabio Borini getting his first start in a while. The Italian put on a good display in front of the Anfield crowd but his real moment to shine would occur later in the game when his Italian compatriot would enter play. Liverpool have not been left with much time to dwell on their 0-0 draw with Hull at the weekend as Brendan Rodgers prepares his side to face Swansea at Anfield in the league cup on Tuesday evening. With both sides perhaps opting to shake things up a bit it could be a very different XI fielded by the Reds. After improving the overall performance on Saturday afternoon, many fans are hoping that Rickie Lambert will be given a start in this tie. For me we should be playing in a 4-4-2 anyway but if the manager disagrees with that system there isn't necessarily much to lose by risking it in a league cup tie. Alongside Balotelli in this fixture it could further help a forged partnership up front before the much needed return of Daniel Sturridge. The last time the two sides met was in February this year. 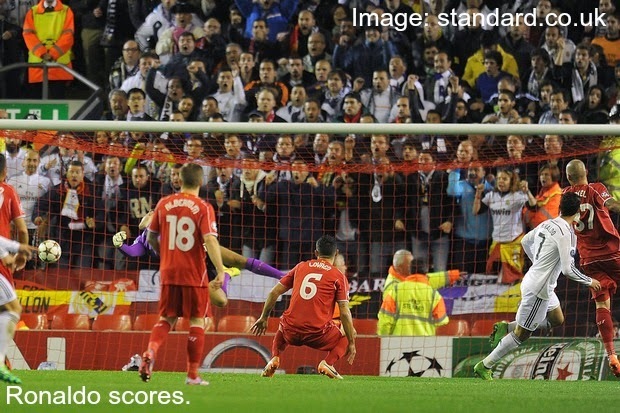 In a seven goal thriller Jordan Henderson eventually found the Reds a winner in the 74th minute. The game ended 4-3. 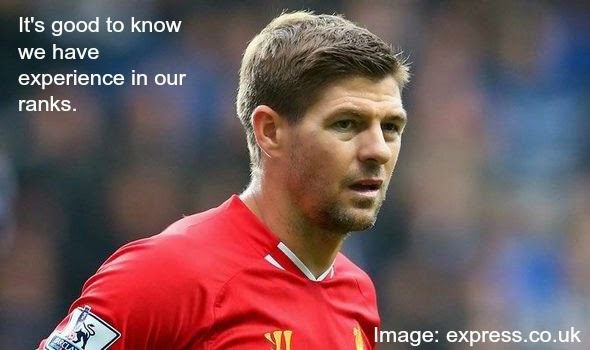 Liverpool could only manage a 0-0 draw with Hull on Saturday as Brendan Rodgers' side looked lacking in ideas. The defence looked a little more competent but only because Hull were quiet in front of goal. With the newspapers choosing to focus on Balotelli once again, I'm not even going to bother going there this week you can read my current thoughts on Mario here. 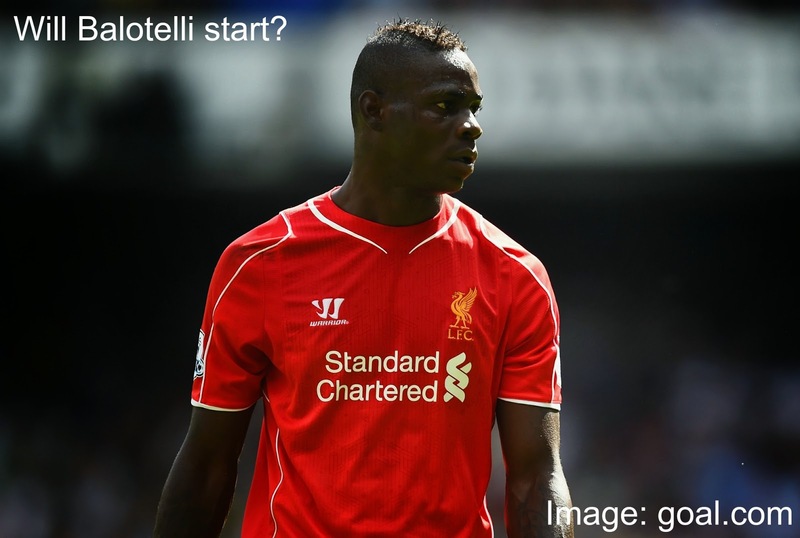 Despite all the controversy from the Real Madrid game, Balotelli did start. Liverpool's first real chance came early in the second half after a Steven Gerrard corner found its way to Dejan Lovren. The defender's header was blocked off the line and two follow up efforts from the same player also failed to find the back of the net. 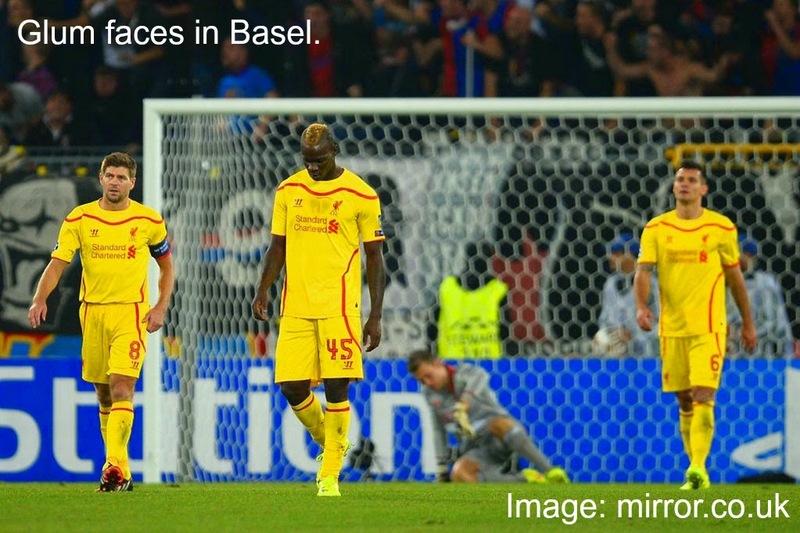 Shortly afterwards Balotelli got his first chance of the game after deciding to shoot from an angle. His effort was saved and to be honest it was always going to be from that area. After an eye opening game against Real Madrid midweek, Liverpool will certainly be looking to show those watching what they are really capable of. With the tie coming so quickly after a Champions League game though and with a relatively thin squad, you have to wonder how this will pan out for Brendan Rodgers on Saturday. On paper of course Liverpool should beat Hull, the Reds have not necessarily played their best during the course of this season however they are still 5th in the league. Hull on the other hand currently find themselves in 11th but only three points behind Liverpool. The last time the two sides met was in January this year on New Year's Day. 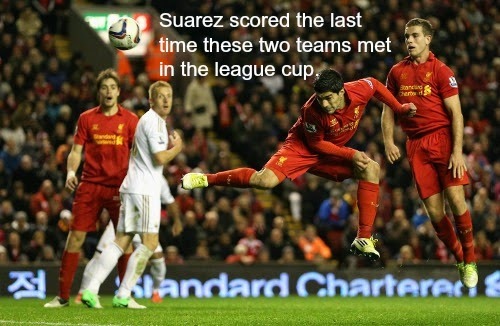 The Reds won that game at Anfield 2-0 with goals from Daniel Agger and Luis Suarez. The Reds last trip Hull ended badly though as they fell to a 3-1 defeat. Martin Skrtel scored an own goal during that game. "Sheer madness" that is the descriptive phrase Mark Lawrenson has selected after watching Liverpool lose 3-0 to Real Madrid. Surely a reaction like that can only be warranted by the poor defensive performance? No? ... No. Apparently it is "sheer madness" that Mario Balotelli would swap his shirt with an opposition player at half time, forgive me for thinking Lawro has pushed the 'overkill' button here. I never set out for this report to be so heavily focused on Mario but after watching the media reaction bubble from a molehill to a mountain, I simply had to voice my opinion. Spanish giants Real Madrid will make their way onto the Anfield turf on Wednesday night as Liverpool attempt to recreate one of numerous classic European nights in front of the Kop. With news filtering through that Gareth Bale will also be missing for the tie, every bonus will aid Brendan Rodgers' side as he searches for a landmark win. Despite the Welshman being missing from their squad Real Madrid are also without Sergio Ramos who has a calf problem. 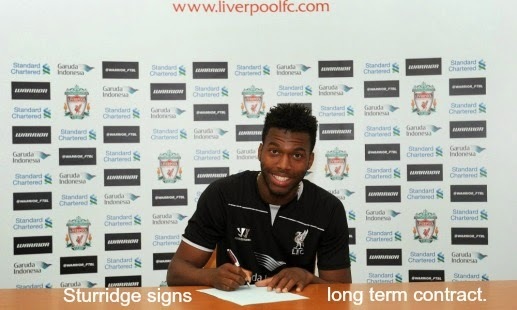 For Liverpool they are without Daniel Sturridge, Mamadou Sakho and Jon Flanagan. Brendan Rodgers will select an XI from a now much stronger squad after boosts in fitness. The last time the two sides met was in an unforgettable 4-0 win at Anfield back in March 2009. In one of the peak Rafa seasons, the Reds absolutely ripped apart Madrid with goals from Torres, Gerrard and Dossena. It's a rare occasion when ten minutes of a match end up making the bulk of your match report but that's exactly what has happened after Sunday's eventual win over QPR. An own goal from Richard Dunne after an hour of play appeared at one stage to be the only difference between the two sides however mayhem would ensue within the final moments of the game, denying a gutted Harry Redknapp his second win of the season. Liverpool began the game with a slightly unexpected XI after Brendan Rodgers opted to rest a few players with one eye on the Real Madrid fixture in the week. QPR opted for a 4-4-2 which has been a problematic formation for Liverpool's back four of late and nothing changed in this game. The first half for the Reds was very lacklustre, we were quiet in attack and struggling to maintain possession, it almost looked as though the game plan was to "hope QPR got tired" (hold back your Sterling jokes!). Liverpool make the trip to Loftus Road on Sunday as Brendan Rodgers' side aim to pick up where they left off in the league. News of Daniel Sturridge picking up another injury though has left kopites concerned as the Reds look for an alternative option in attack. Mario Balotelli is obviously the man Brendan will be looking to but in my opinion there's no point playing him unless you forge the team to support him. 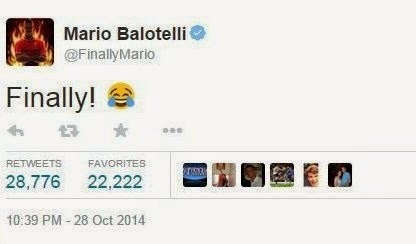 There have been several calls from fans on Twitter to sit Steven Gerrard behind Mario tomorrow and I personally would love to see this. 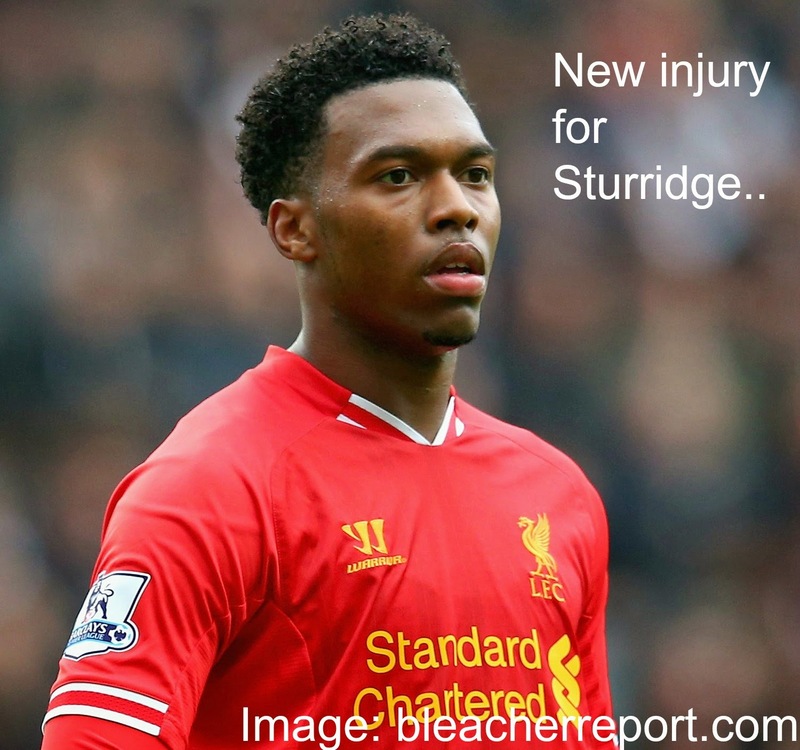 Injuries for Liverpool as we know begin with the devastating loss of Daniel Sturridge. Jon Flanagan is also out long term but there are several players for the Reds who are nearing fitness. Late decisions will be made on the likes of Lovren, Sakho, Allen and Can.